Are you a creative person who thrives on making things and exploring ideas? Would you like to design and make innovative high quality jewellery and learn how to work with precious metals to create beautiful artefacts? Jewellery and Objects at NCAD embraces numerous types of creative practice and students are supported to develop the skills to pursue personal expression through the gallery market, or forge a career in industry. Jewellers are encouraged to create designs that challenge notions of the body, fashion, gender and the environment. Students develop skills in working with precious metals, and experiment with non-traditional materials, such as paper, textiles and plastics. 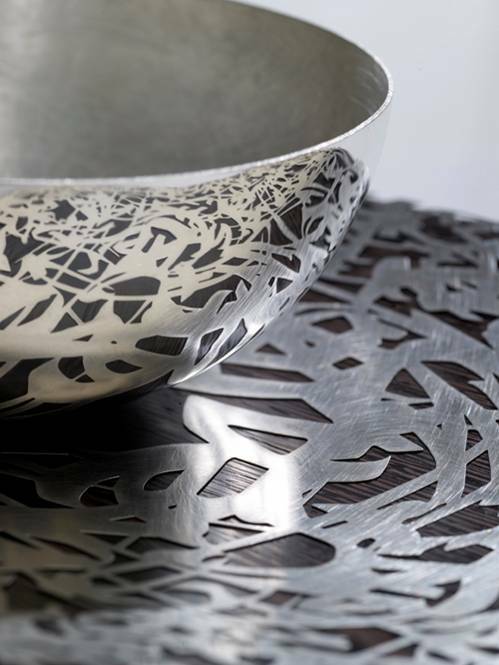 Similarly, goldsmiths and silversmiths explore the interaction between fine metalworking and ideas, through the creation of domestic objects and fine luxury products, exploring radical forms and processes. The programme aims to facilitate the development of individual craft and design skills that increasingly allow each student the freedom to pursue and realise ideas in appropriate media. The programme encourages students to develop a personal approach to the research and development of creative design solutions through an in-depth knowledge of traditional making skills and cutting edge technologies. With individual bench spaces, machine workshops and studio, the programme provides the perfect environment to experiment and explore in pursuit of personal expression. Students develop a personal creative identity and proficiency in design and technique, and learn through a mixture of workshops, lectures, tutorials and, most importantly, through their own practice. The focus in the Second Year is on developing a personal visual language and the skills necessary to translate this into successful Jewellery and Objects practice. You will also focus on researching and defining a specific audience and developing a market understanding through professional practice. In the Final Year students are ready to develop their own programme of study, which reflects each individual’s skills and interests within Jewellery and Objects. This will culminate in a substantial body of work for assessment and display at degree shows, exhibitions and events. Coursework, essays, practical creative projects. Assessment takes place at key points throughout the year with formal assessment results issued at the end of each academic year. As a consequence of the range of skills acquired, Jewellery and Objects graduates have a wide range of local and global opportunities open to them, from designer maker, to artist, educator and creative entrepreneur. Increasingly graduates progress to further study at Postgraduate level to refine their creative abilities and approach. The School of Design offers a range of innovative Masters programmes, as well as a practice based PhD programme supported by the Graduate School for Creative Arts and Media (Grad CAM).